When we visit a doctor or other healthcare provider, we trust that they will provide the best possible care for us. If additional testing is desired, we trust that they will recommend the best procedures. If we need surgery, we trust that it will be properly performed. While the vast majority of medical care provided is provided in accordance with good medical procedures, unfortunately this is not always the case. When medical malpractice occurs, the damages can be devastating. In the case of possible medical malpractice, we seek to understand the facts and circumstances of the case to determine whether medical malpractice may have occurred. 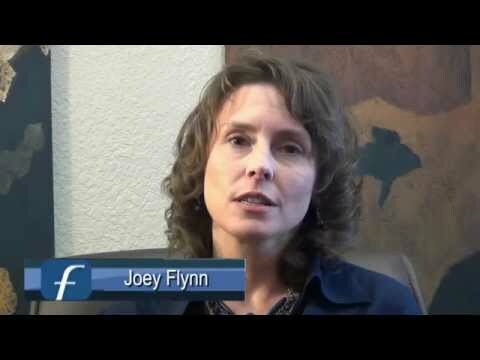 Fein Flynn & Associates – How we serve military personnel. Many conditions, such as cancer and heart disease, can be successfully treated if discovered in the early stages. If the condition is not discovered until later, often further damage may have occurred, additional treatment may be necessary, and the likelihood of death or serious complications may be increased. When a doctor or other healthcare provider fails to diagnose the condition during an initial consultation, or to prescribe testing that may have identified the condition, the patient will likely wonder why the condition or additional testing was not done. To determine whether medical malpractice occurred, it is important to carefully review the conditions being presented by the patient, and to determine whether the doctor or healthcare provider was acting in accordance with the standards of sound medical practice. If additional testing or other measures should have been undertaken, but were not, the second step is to determine whether damages resulted from such failure. All too often surgeries that should be low risk result in serious complications or death due to surgical error or mistakes. Surgical mistakes can range from operating on the wrong body part or leaving foreign objects inside of the patient, to cutting or damaging blood vessels that can cut off oxygen to a patient’s brain, which can result in permanent injury. All surgery involves the risk of some complications. If death or another unexpected outcome results from surgery, it is important to understand why. There are many ways in which a doctor or other health care provider can commit medical malpractice. In general, the test is whether a doctor or other provider failed to meet the standards of sound medical care based upon the symptoms presented, and whether the patient suffered damages as a result. To make a determination as to whether a probable case of medical malpractice exists, we rely on medical experts to review all documentation and records relating to a patient’s care so that a determination can be made so to whether the actions of the doctor or healthcare provider failed to meet the standards of sound medical care. If it appears that the doctor or healthcare provider failed to meet these standards, and if the patient suffered damages as a result, the patient may have a claim for medical malpractice. If you need to know whether you have a strong case against a doctor, nurse, healthcare provider, hospital, or healthcare facility, contact the lawyers at Fein, Flynn & Associates. We work intensively with outstanding medical professionals to get reliable answers to the two main questions that dominate medical malpractice litigation: (1) Did a medical professional commit a mistake that represents a departure from a recognized standard of care, and (2) Did that mistake injure or kill the patient? In most cases, the second question is harder to answer than the first, and it’s usually more vigorously disputed by the defendants and their insurers. Even when negligence and causation are fairly clear, however, you can expect a tough fight on a third important issue: damages. How much will it take to compensate you fairly and completely for your losses? We offer a free, no-obligation consultation so that we can learn about your case and the injuries sustained. We can then advise you as to the strength of your case, and the legal options that may be available to you to seek the recovery of damages. If you retain our firm as your attorneys, we will do so on a contingency fee basis, which means that you will not owe us for any fees unless and until we recover for you.